Nicolasa Pascual is a weaver from San Bartolo Yautepec, Oaxaca. 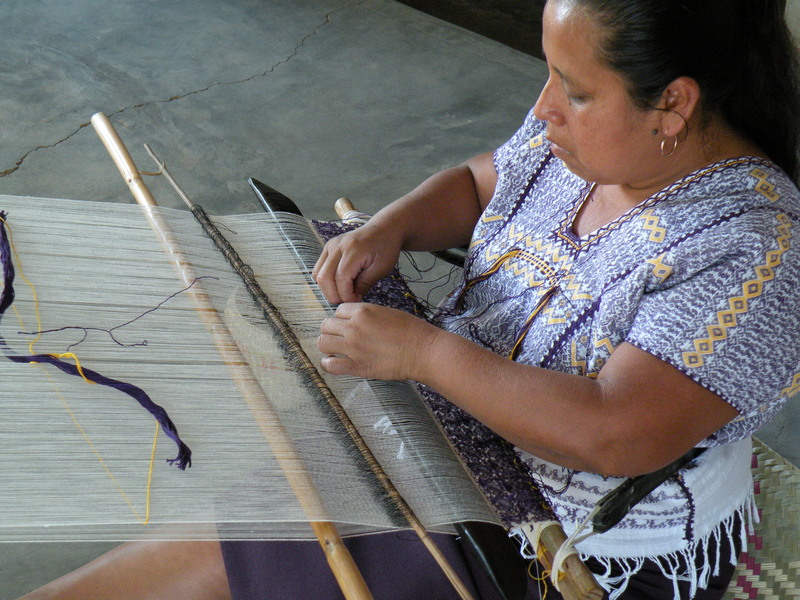 Her work is considered to be the best and finest example of Oaxaca weaving. 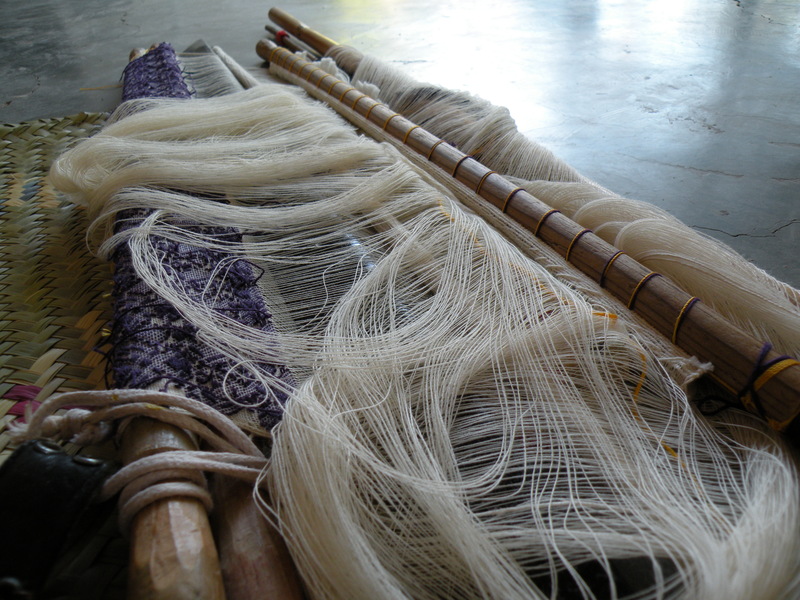 She uses the backstrap loom, with cotton- warp and weft, synthetic dyes, 1 heddle rod, about 35 ends/threads per inch, plain weave + supplementary weft weave technique. You can see Nicolasa Pascual’s weaving detail. The needle is used as a shuttle to pass the threads and weave a supplementary weft design at the same time. 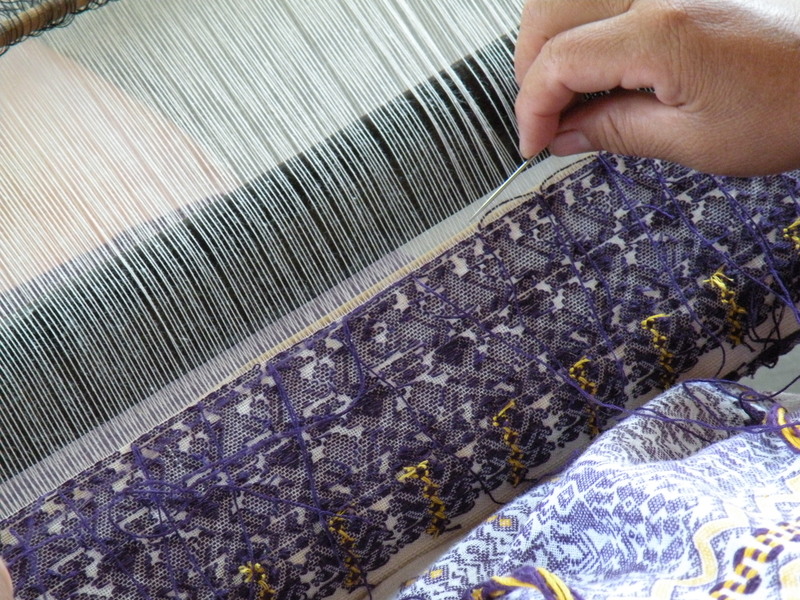 The designs are interwoven using the heddle rod — they are not embroidered! 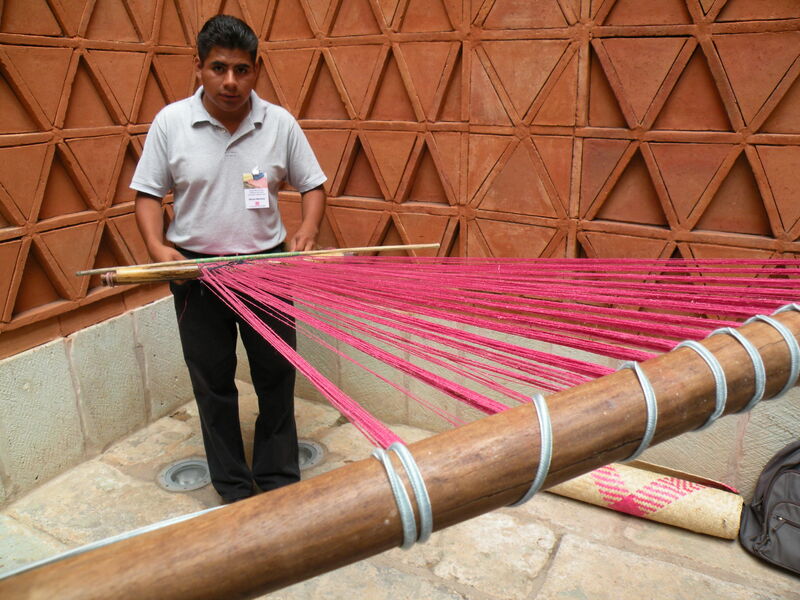 The man featured is Moises Martinez, a weaver who works in silk from San Pedro Cajonos, Oaxaca. 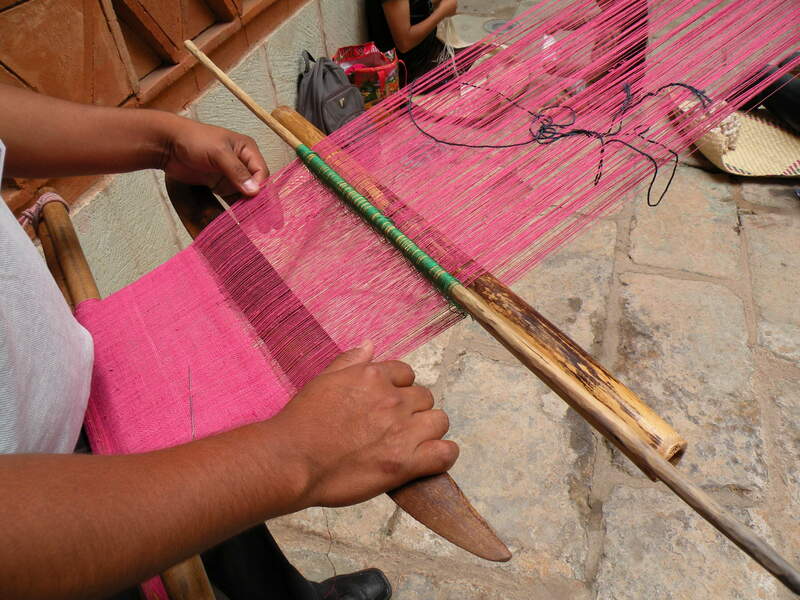 He uses the backstrap loom, with silk-warp and weft dyed with Cochineal dye, 1 heddle rod, about 20 ends/threads per inch, plain weave technique. Photos taken by Eric Chavez Santiago, Director of Education, Museo Textil de Oaxaca, courtesy of the museum. This entry was posted in Textiles, Tapestries & Weaving and tagged backstrap loom weaving, Eric Chavez, Moises Martinez, Museo Textil de Oaxaca, Nicolasa Pascual, Oaxaca, San Bartolo Yautepec, San Pedro Cajonos, weaving techniques, weaving with silk. Bookmark the permalink.